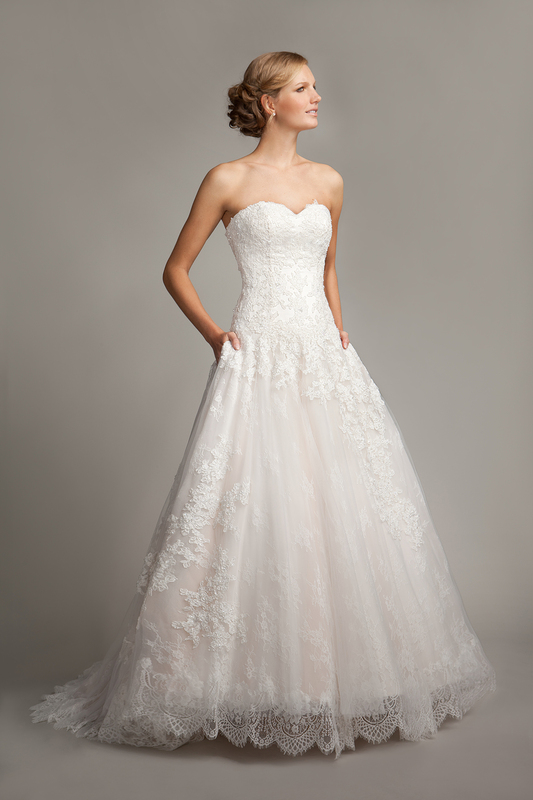 A pretty a line style with a square neckline, lace bodice, delicate shoulder straps, a satin belt, full tulle skirt and finished with a elegant lowered back. Photographed in Salmon. Available in Empress Chiffon colour ways. Zip back. A fun and flirty style that will flatter a variety of shapes and sizes. The perfect choice for a Spring / Summer wedding.